Everything you consume during pregnancy has the potential to affect your baby in a positive or negative way. You may not think twice before sprinkling feta cheese on your salad or cooking it into your eggs, but the wrong type of feta cheese can actually be dangerous for you and your unborn baby. It is important to understand how you can consume feta cheese while keeping your baby safe. Unpasteurized soft cheeses, such as feta, brie and goat cheese may contain listeria, bacteria that causes listeriosis. Listeriosis is characterized by flu-like symptoms and can be dangerous for unborn babies. According to the Centers for Disease Control and Prevention, about 1,600 people in the United States get listeriosis every year, and pregnant women are 20 times more likely to get it, making up one in six cases. The hormonal changes that occur during pregnancy can weaken your immune system and make you more prone to infections. Symptoms of listeriosis include headaches, muscle aches, fever, nausea and vomiting. It can result in miscarriage, premature delivery, infection to your newborn or stillbirth. Listeria is killed by pasteurization and cooking foods. According to "Kids Health," feta cheese that is clearly labeled as being made with pasteurized milk is safe during pregnancy. Most cheese sold in the United States is made with pasteurized milk, but some stores carry unpasteurized cheeses, so be sure to check the label carefully. If you consume feta cheese made with unpasteurized milk during your pregnancy, contact your doctor right away. Your doctor may want to examine you to see if you are infected with the bacteria. If you are, you will need antibiotics to treat listeriosis. 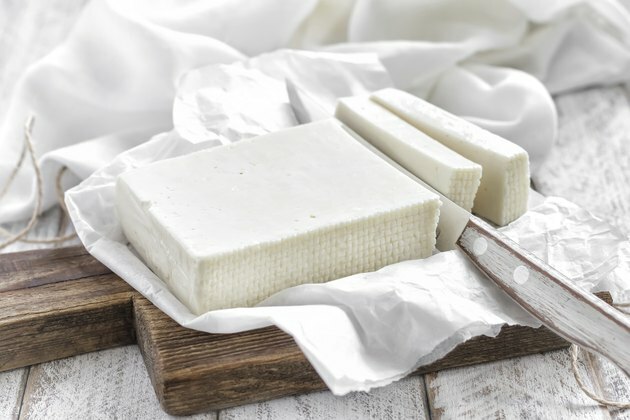 If you have eaten unpasteurized feta cheese earlier in your pregnancy and did not experience symptoms, you still need to mention it to your doctor so he can ensure that you and your baby are healthy. Listeria is not only found in unpasteurized milk and cheeses. It is also found in processed and pre-packaged meats like deli luncheon meats and hot dogs. If you are going to eat these types of meats during pregnancy, you can kill the bacteria by heating the meat until it is steaming. If you are unsure what types of foods are safe to eat during pregnancy, ask your doctor for direction. Kids Health: Why Are Pregnant Women Told to Avoid Feta Cheese? Babycenter: Is it safe to eat soft cheese during pregnancy?